A planning proposal is a document that explains the intended effect of and justification for a proposed amendment to a Local Environmental Plan. Planning proposals can be prepared by an applicant however they must be endorsed by Council and the Department of Planning and Environment following assessment against relevant legislation and Council policies. 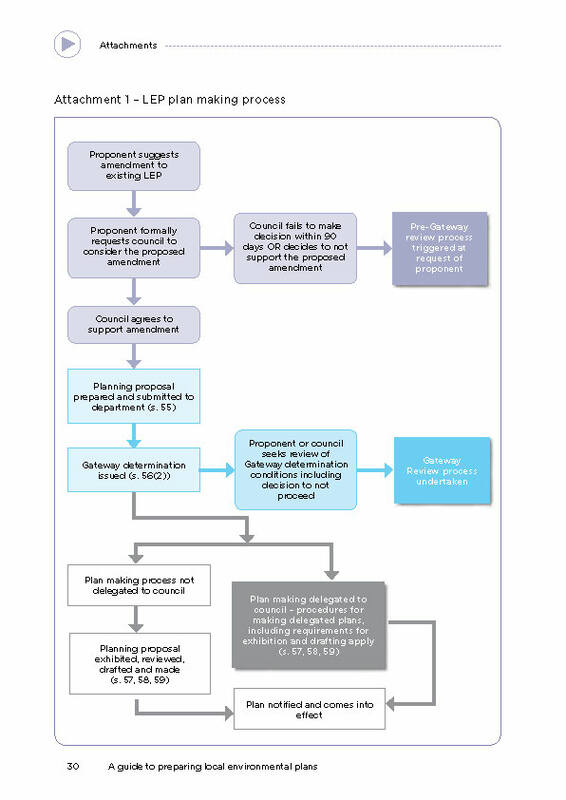 The NSW Department of Planning and Environment’s Guide to Preparing Local Environmental Plans contains additional information about this process. Click on a step to see what is involved. How long does it take for a Planning Proposal to be approved? 6 months for administrative changes and errors. A Political Donation and Gift Disclosure Statement must accompany the written request to Council to initiate the making of a Local Environmental Plan. Under s147 of the Environmental Planning & Assessment Act 1979, all relevant political donations and gifts must be disclosed by individuals or entities with a relevant financial interest when a planning application is made.